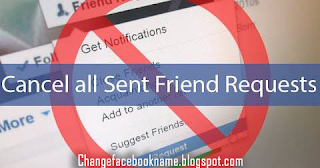 How to Cancel a Facebook Friend Request Using Your Android Smartphone: It won’t be an understatement to proclaim that Facebook is afull-fledged social media networking site which enables its users to send out friend’s request to any other user without restrictions. You can send this request to both known and unknown Facebook usersincluding celebrities. However, in a situation you mistakenly send a friend request to someone you ought not to send it to and you are feeling guilty about it, it is actually possible to retract it with your android device. But you have to note that even after cancelling your Facebook friend’s request, the individual may still be included as part of your followers and also you will definitely be on his/her follower’s list. You may have to uncheck the following button to remove the individual from your follower’s list. Open your Facebook app from your android device. From the search result, click on the user and go to his/her timeline. Then tap friend’s request button on from the individual’s timeline. From the dropdown option, select cancel request which immediately cancel the request you mistakenly sent. And that’s all, so if you notice you’ve sent a request you wish not to send, you can use these steps to retract and delete the request. I hope this article has helped you to delete your sent friend’s request on Facebook? You can as well share this article with all your contact so they can learn how it is done.